You may go a long time without having any problems with your speedometer, but once a problem strikes it is wise to get speedometer repair immediately. The company Safety Restore can do just that for you. The company works with stuck tachometers, speedometer gauges that are not working or are constantly getting stuck, and oil gauges that give the wrong reading. They also repair temperature and gas gauges that work intermittently as well as dead or sticky gauges. Safety Restore’s full auto cluster rebuild and speedometer repair service fixes all of these issues and restores customers’ units back to factory condition. Quality and safety are of upmost importance to this small family business. Safety Restore only employs highly experienced engineers to complete the speedometer repairs. All defective components are removed from the unit and replaced with 100% OEM parts. To complete the repairs, the engineers use industry standard tools and always meet or exceed FMVSS standards. Additionally, paying for a speedometer repair at Safety Restore comes in a lot cheaper than heading to a dealer. Customers only have to pay $118.99 for the service, and are left with a lifetime warranty on top of it! The repairs take the company only 24 hours or less to complete, which is an added bonus. Regardless of it east coast location in Westfield, MA, Safety Restore works with customers nationwide. The company welcomes many makes and models of vehicles for its speedometer repair service, including Pontiac, Isuzu, GMC, Cadillac, Buick, Chevrolet, Ford, Hummer, Oldsmobile, and Suzuki. Customers simply need to select and pay for the service online before sending in their instrument cluster to be repaired. Detailed step-by-step instructions are posted on the company’s website, safety restore.com, explaining how to remove a cluster from a vehicle. Once Safety Restore receives the item, they perform the repairs in just 24 hours and ship the package back out! Have you heard of others needing a speedometer gauge repair but don’t know why or when you might need one yourself? Let me explain it all to you. A speedometer gauge repair is necessary when you have an issue with your instrument cluster, more commonly known as the speedometer. Some of the problems that are cause for a speedometer gauge repair are as follows. 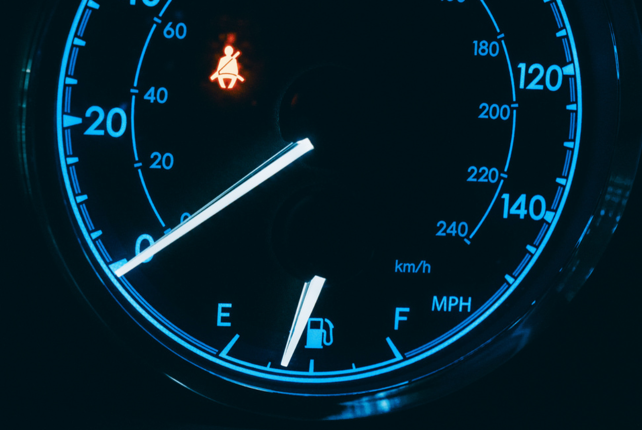 The speedometer gauge may not be working—or getting stuck, the tachometer gauge may be stuck, you may have dead or sticky gauges, or your oil gauge may be giving a wrong reading. Other possibilities are that your temperature gauge is working only intermittently, you have gas gauge problems, or you have gauges that are not functioning at all! 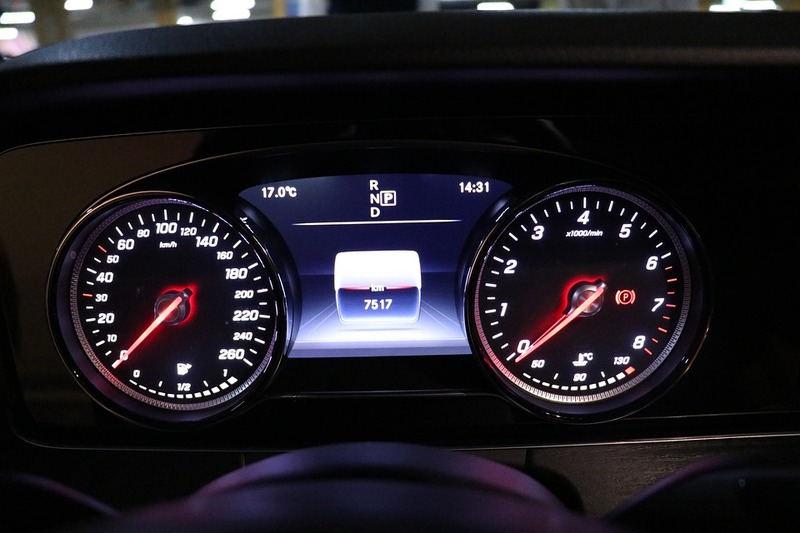 Whatever problem, or problems, you have with your instrument cluster—know that there is someone to help you with them. The company Safety Restore has an Instrument Cluster Gauges Repair service to solve just these kinds of issues. When you send in your instrument cluster to Safety Restore, you can expect a full restoration of the unit back to its factory condition. You can rest assured that the work is in great hands! Only skilled engineers will be handling the repair of your cluster using industry standard tools and 100% OEM parts. In addition, the company always meets or exceeds FMVSS standards so you can expect that with your repair as well. 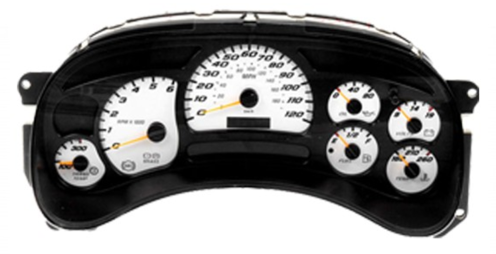 To order your speedometer gauge repair, simply head on over to the website safetyrestore.com. There, you can select the service and pay the affordable $118.99 for it. The next step would be to remove the unit from your vehicle—an easy step. Once the cluster is removed, package it up in a box and send it out to Safety Restore in Westfield, MA. In just 24 hours of receiving your package, the repairs will be completed. You’ll also end up with a lifetime warranty! Car Speedometer Not Working ? Is your car speedometer not working? Perhaps your speedometer gauge is getting stuck, or your tachometer gauge needs rebuilding. Maybe your problem lies in your oil gauge always displaying a wrong reading, or the temperature gauge only working intermittently. Whatever way your car speedometer not working has caused you problems, know that the company Safety Restore can help. Safety Restore is well known for its instrument cluster gauges repair service that has successfully repaired all kinds of issues for its customers. When purchasing this service at Safety Restore you’ll be guaranteed a fair price, fast turnaround time, and most importantly—quality work. One of the greatest things setting apart Safety Restore from other auto shops, and especially the dealer, is the fair price for each service. A car speedometer comes in at only $118.99, which is far less than would be asked for anywhere else. Even better, a lifetime warranty automatically comes with each service purchased at Safety Restore! Besides the price, the fast turnaround time at Safety Restore is quite agreeable. A strict 24-hour policy is in place for all orders, no matter how large or small. The 24 hours applies to easy and difficult orders alike. All of the mentioned factors above would make no difference if quality were not of upmost importance. Fortunately, it is for Safety Restore. The company is BBB accredited and always meets FMVSS standards. Because it wants all repair work to be performed to the best of its ability, only industry standard tools and 100% OEM parts are used. So if you have a car speedometer not working, visit safetyrestore.com today! There, you can follow simple instructions to remove the unit from your vehicle and send it in to the company. Upon receiving your package, the team at Safety Restore will perform all necessary repairs in just 24 hours or less! 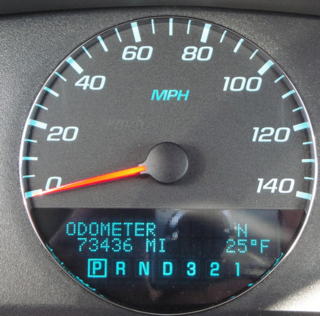 Are parts of your speedometer not working, or is the unit completely shot altogether? Whatever the problem may be—Safety Restore will surely be able to help. The company Safety Restore has an instrument cluster gauges repair service that fixes practically any and all gauge-related issues on a speedometer. 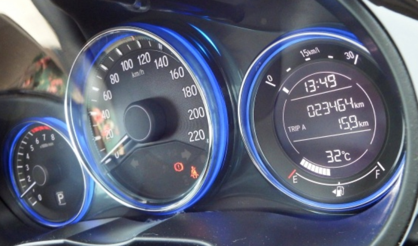 Customers have sent in instrument clusters with dead or sticky gauges, gauges that are getting stuck, and gauges that only work intermittently. Safety Restore was able to repair them all. The company works to repair the speedometer gauge, gas/fuel gauge, tech gauge, temperature gauge, transmission gauge, and oil gauge. All sticking, fluttering, or incorrectly reading gauges are repaired so as to work properly again and all defective motors controlling the arrow/needle are replaced. Heading to the company Safety Restore is the wisest decision you can make if you have a speedometer not working. The company employs only highly experienced and well-trained engineers, so your speedometer will be in great hands! You can rest assured that industry standard tools and only 100% OEM parts will be employed in the repair process. Safety Restore also prides itself in always meeting or exceeding FMVSS standards. The prices are very agreeable. If you have parts of your speedometer not working, you can send in the entire unit for repair for just $118.99. That comes in a lot less than the prices at the dealer! Furthermore, when choosing Safety Restore, you’ll also be left with a lifetime warranty! The great thing is that the repair process only takes the company 24 hours or less to complete, so you can be driving with a functioning speedometer again in no time! To get an instrument cluster gauges repair, select and prepay for the service at safetyrestore.com. Then, remove the unit from your vehicle following the directions posted on the website. Finally, ship the package out to Safety Restore in Westfield, MA. In just a short period of time, you will receive your speedometer back and it will be functioning like new again! Looking at the speedometer repair cost at the dealer and feeling like you just don’t want to throw away all that money? You shouldn’t feel bad for that. You’ve worked long and hard and shouldn’t have to spend hundreds, or even thousands of dollars to pay for a simple speedometer repair. Instead, turn to the company Safety Restore and their much more affordable speedometer repair cost. At only $118.99 you can get a speedometer repair immediately and not feel bad about it either! Plus, you’ll end up with a lifetime warranty on top of it! The great prices are not the only thing going for this company. This company has gained much respect and a high positive review count for a reason. Safety Restore only employs highly experienced and well trained engineers. Not only that, but they also ensure the repairs are completed using industry standard tools and 100% OEM parts. FMVSS standards are always either met or exceeded. Much to the satisfaction of its customers, Safety Restore completes all orders in just 24 hours or less—regardless of the difficulty or volume of the order! Not many other companies can compare to that. Even from its location in Westfield, MA, Safety Restore works with customers all over the nation—sometimes even overseas! Many different makes and models of vehicles can have their speedometers repaired with Safety Restore, including Buick, Chevrolet, Cadillac, Ford, GMC, Hummer, Isuzu, Oldsmobile, Pontiac, and Suzuki. So why not pay that affordable speedometer repair cost and receive back a practically brand new instrument cluster? Head on over to safetyrestore.com today! Then, remove your speedometer from your vehicle and ship it out to Safety Restore using any preferred mail carrier. Upon receiving your package, all necessary repairs will be performed to restore your unit back to factory settings! Need speedometer recalibration? User our nationwide mail-in service with 24 hour turnaround! You may find yourself in the pickle of needing to get a speedometer recalibration. The problem may be that you don’t know who to turn to to get the work done. Lucky for you, there is a company that exists named Safety Restore. 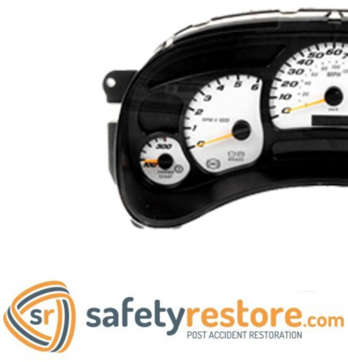 Safety Restore specializes in only three things–seat belts, SRS airbag modules, and of course instrument clusters–and is therefore able to perfect them to a T. Safety Restore is a small family-owned company that strives to demonstrate impeccable quality in each of the services it offers. To ensure that, the company hires only highly experienced and well trained engineers. All repairs are completed using industry standard tools and 100% OEM parts. From the very beginning, Safety Restore has always either met or exceeded FMVSS standards. Safety Restore’s prices are unbeatable too, especially when compared to the prices at the dealer. If you are worried about removing the cluster from your vehicle, the process is quite simple. On safetyrestore.com, you can follow simple step by step instructions to do so. To begin with, you need to engage the emergency brake. Only then you can remove the plastic trim surrounding the cluster. After that, tilt down the steering wheel and put your shifter into 1st gear. Next, you can remove the trim by pulling it out. Finally, remove the (7mm) 4x screws holding the cluster and pull the cluster out. You should disconnect the wiring. Once this simple process is complete, you can box up the unit and ship it out to Safety Restore using any preferred carrier. The skilled engineers will receive your package, perform the speedometer recalibration, and return your cluster to factory condition. Any and all gauge related issues will be fixed. Everything from the speedometer gauge, tech gauge, battery gauge, temperature gauge, oil gauge, and transmission temperature gauge should be functioning like new again after the speedometer recalibration.